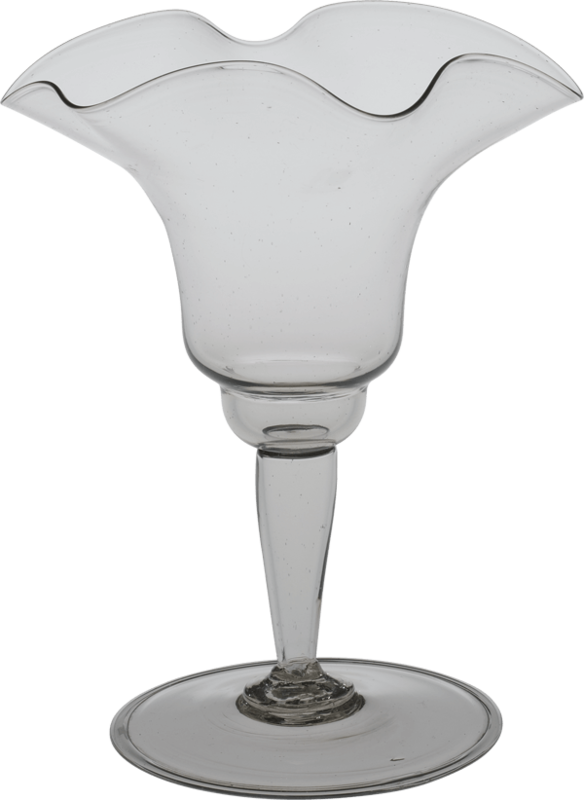 First, a goblet is made and given a slightly flared edge. The edge is reheated, spun. It increases in diameter with centripetal force. It stops suddenly, and gravity causes the fazzoletto, or handkerchief edge, to form. The fazzoletto, or handkerchief edge, was a Roman invention—probably occurred sometime during the second or third century. This way of forming a rim became very popular in Venice in the 1950s. 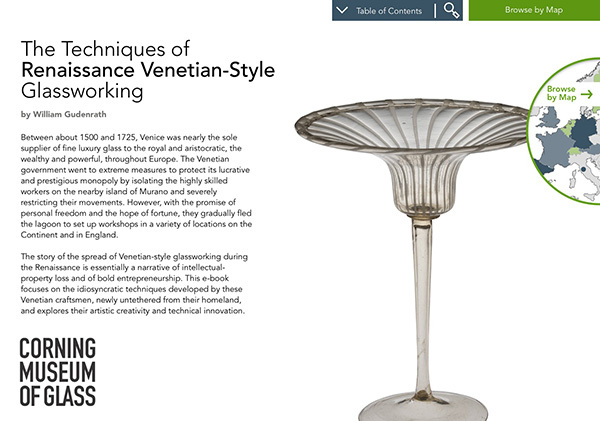 Here’s a Venini object. 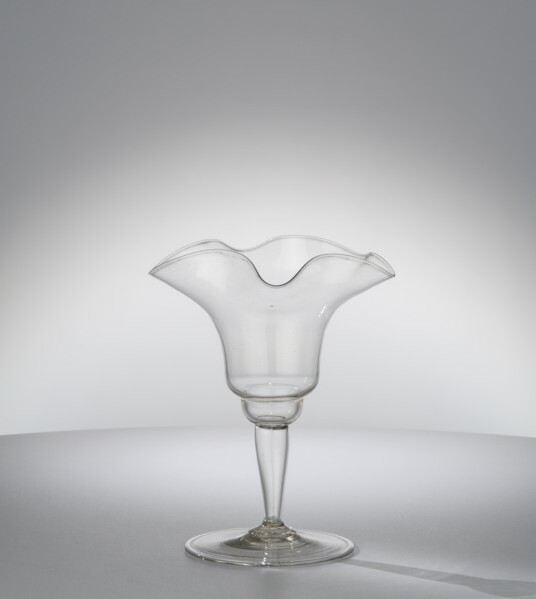 In the 1980s, it was made famous by the American glass artist Dale Chihuly. Here’s a collection from the “Basket” series.